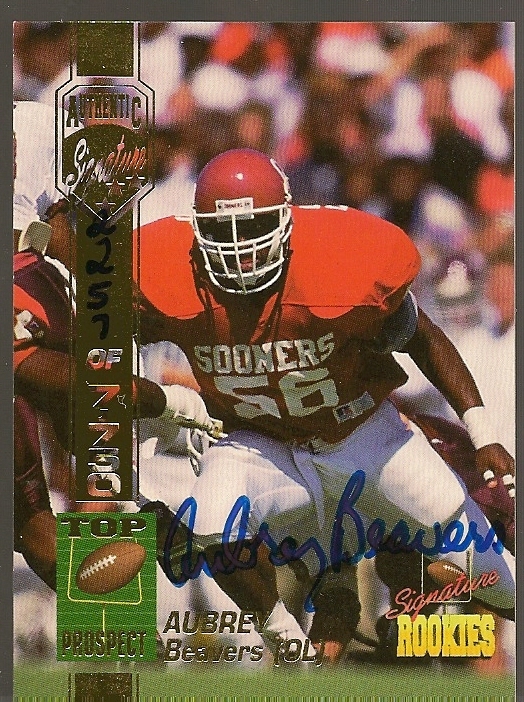 1994 Signature Rookies certified autograph card of former Oklahoma Sooners superstar linebacker Aubrey Beavers, who later played in the NFL briefly for the Dolphins and Jets. Numbered out of 7750 produced. ONLY ONE AVAILABLE FOR SALE.